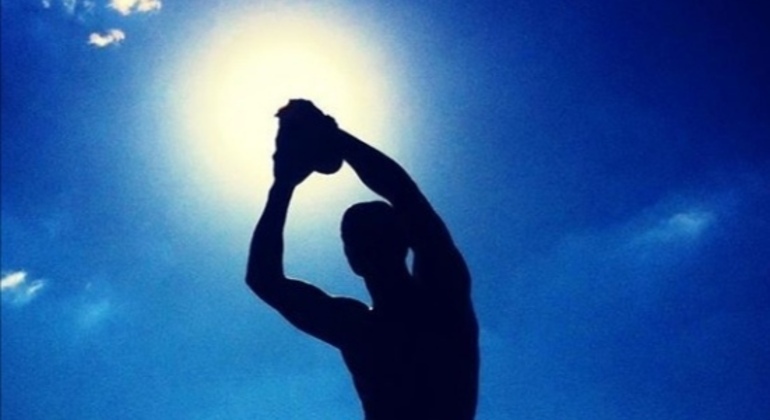 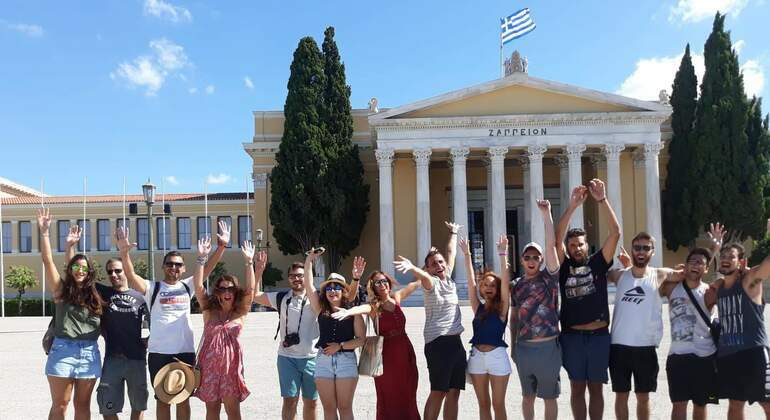 Athens Free Tour - Official. 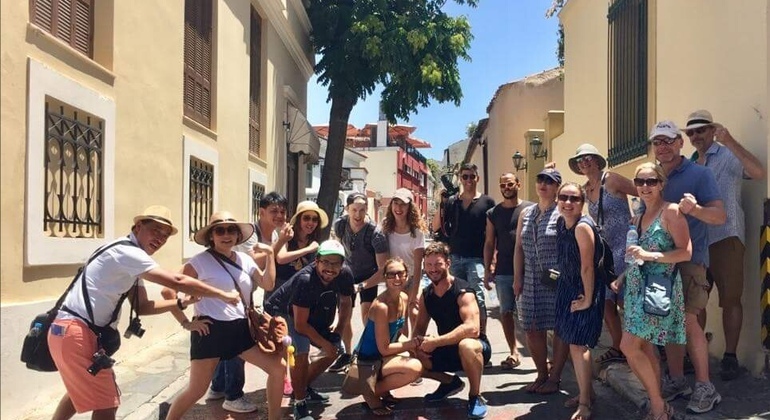 3400+ reviews plus our awards here on freetour.com. 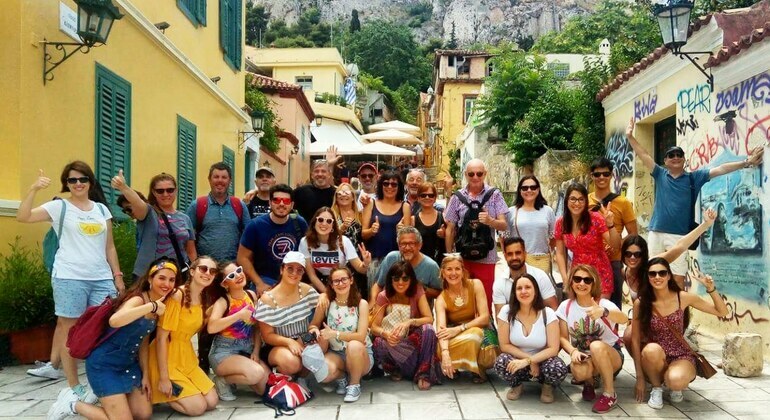 3900+ reviews plus TripAdvisor Certificate of Excellence 2018/'17/'16. 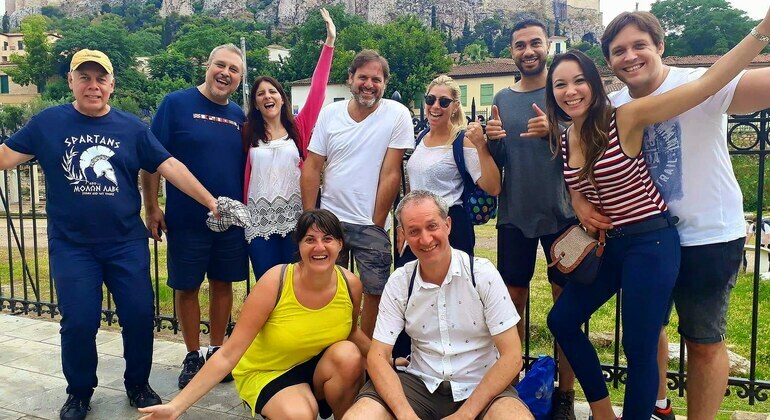 You will encounter with us a safe, welcoming group of local experts with a pure passion for what we do, splitting group sizes to an avg.15 as we love to make a much more personal vibe, you won't be lost in a 30+ crowd. 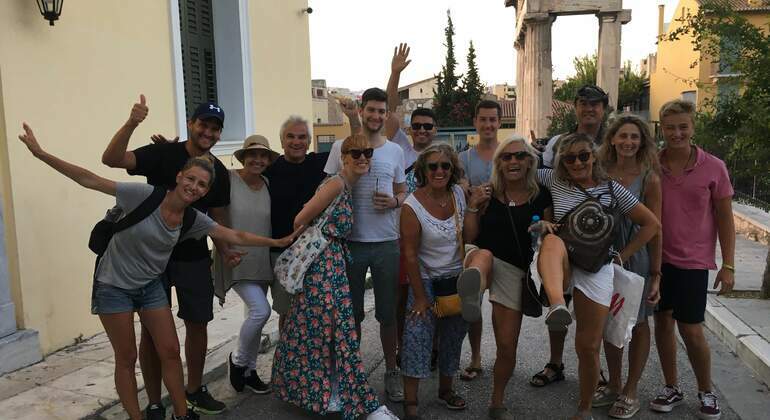 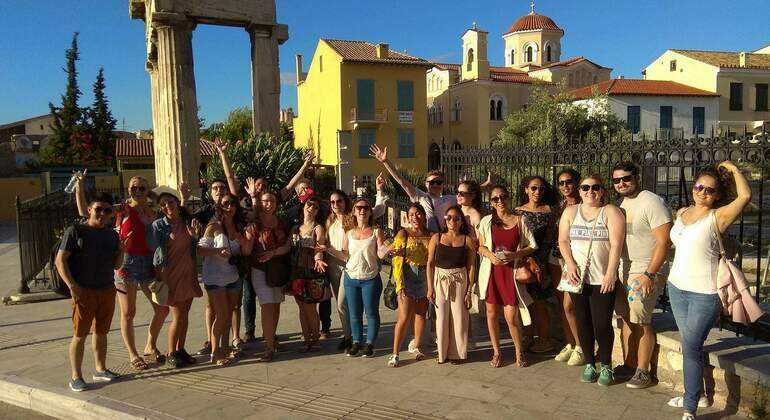 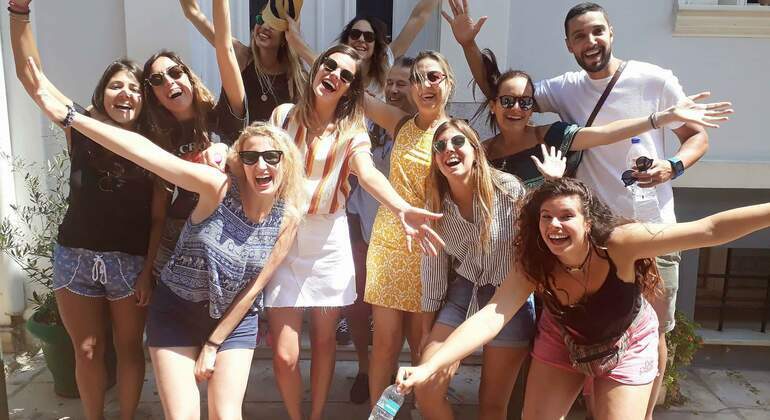 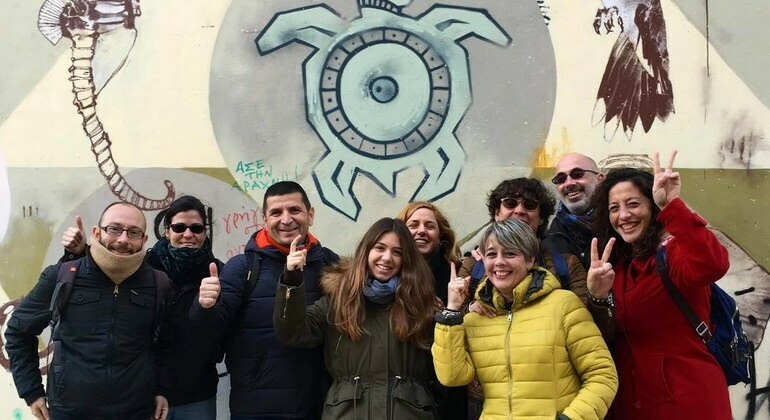 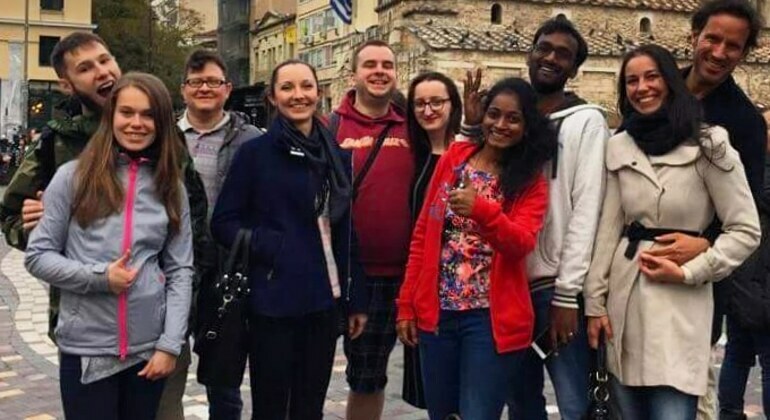 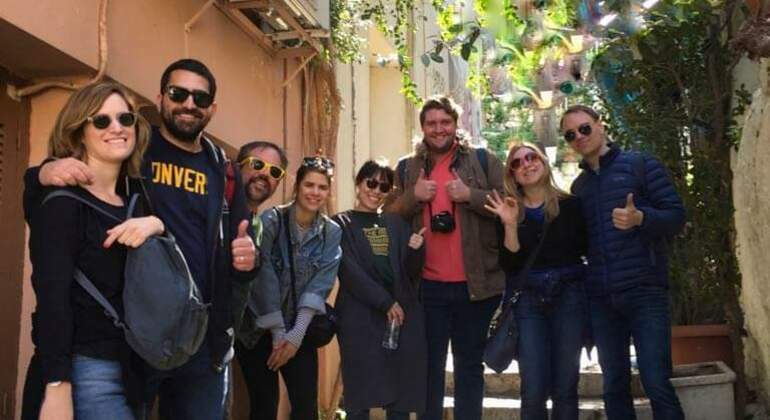 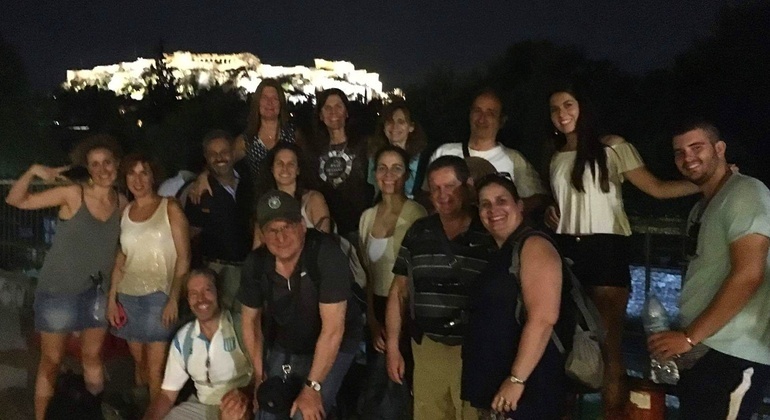 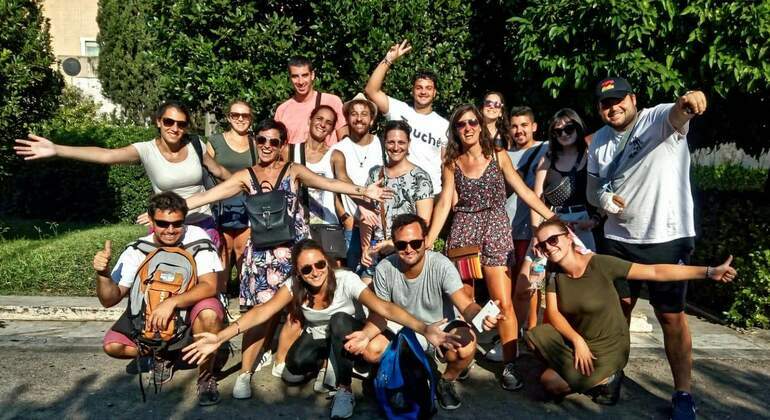 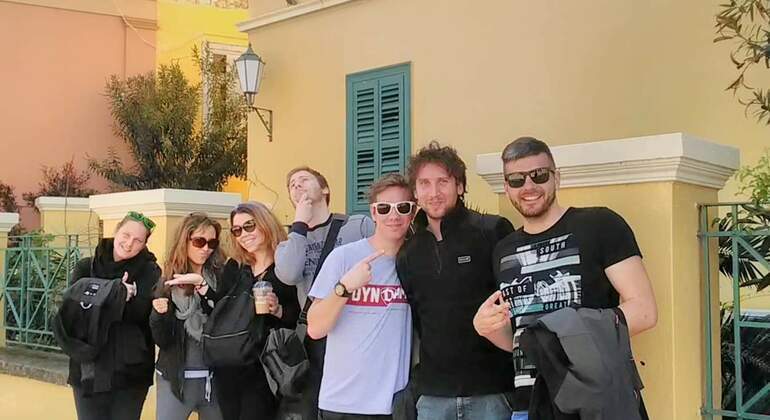 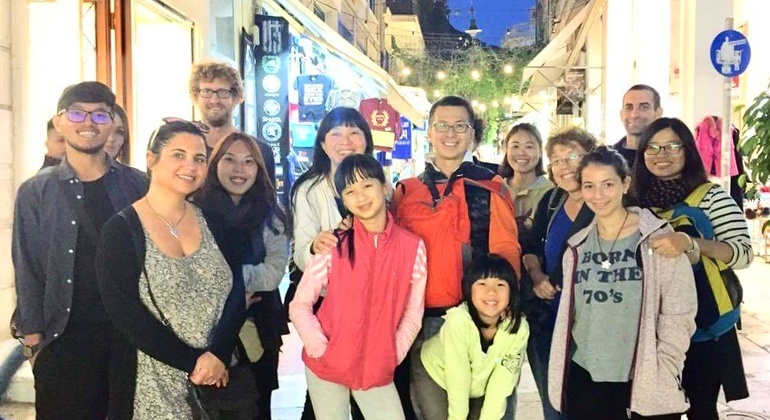 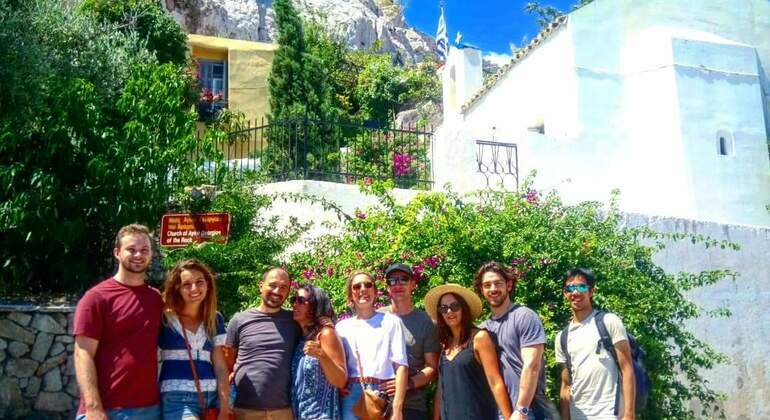 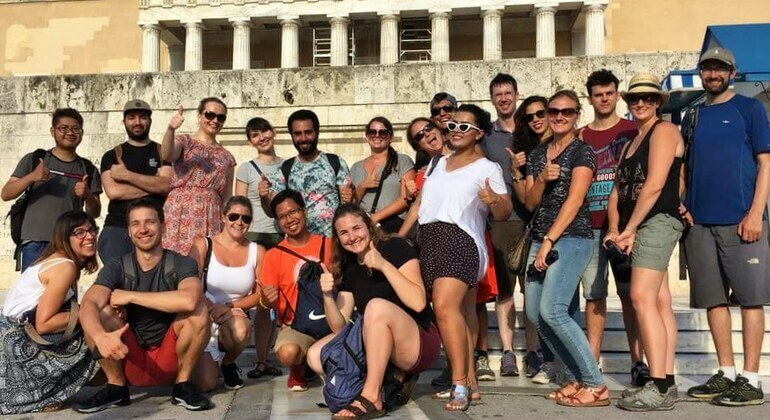 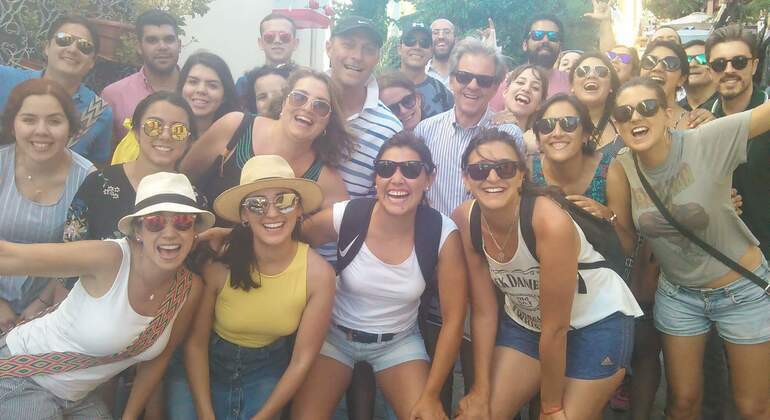 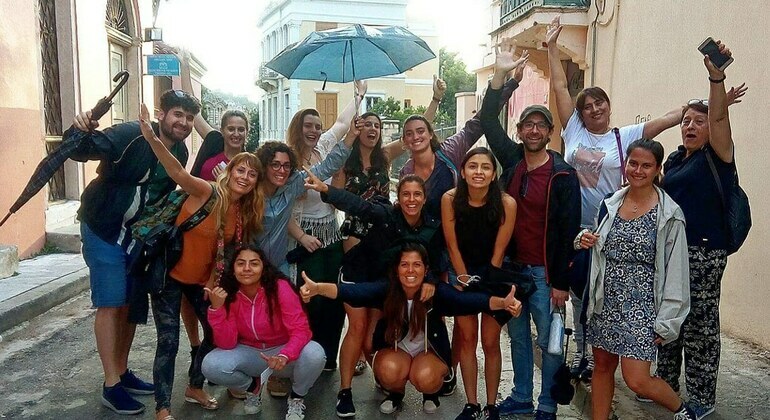 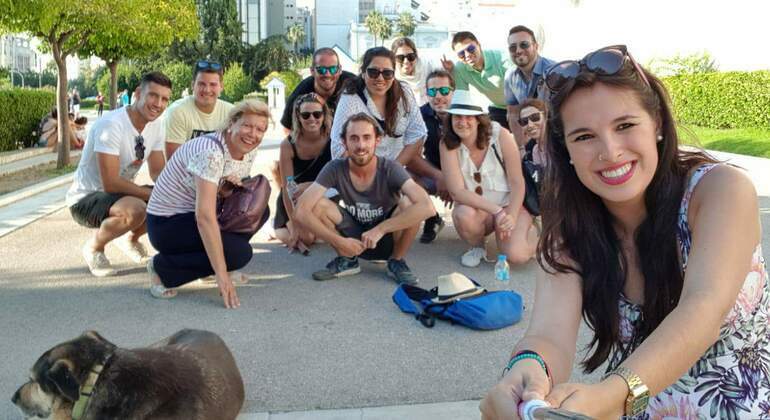 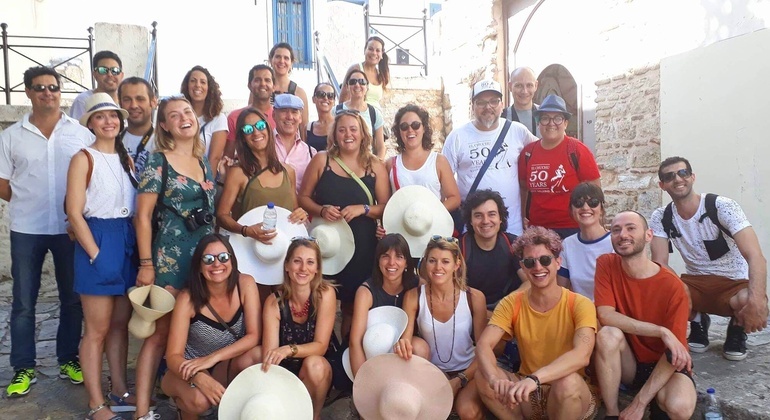 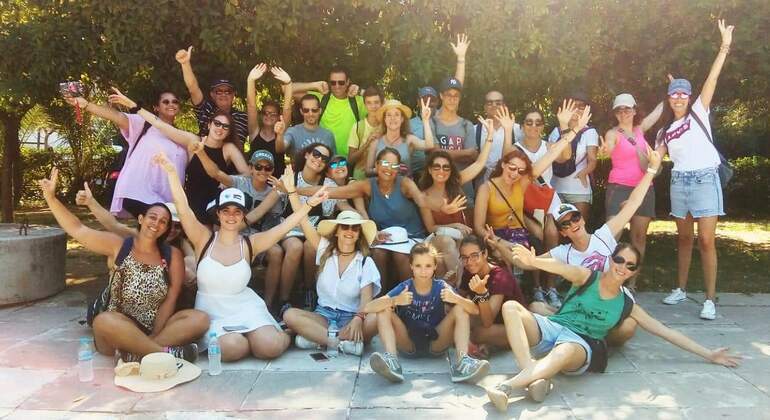 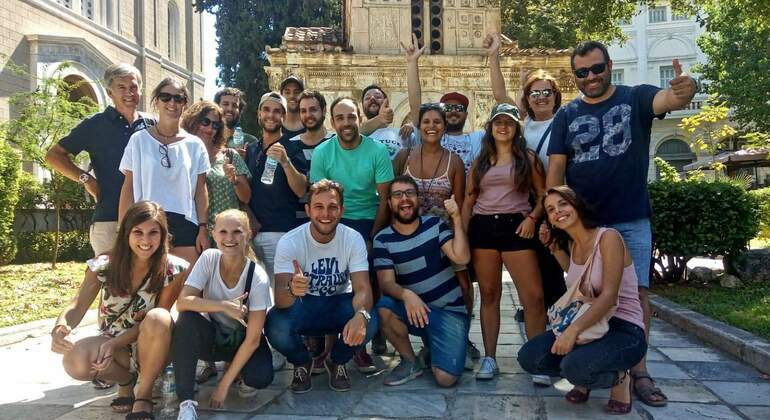 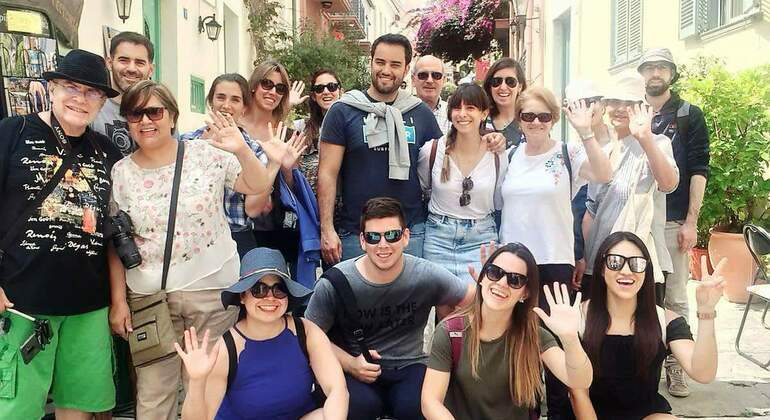 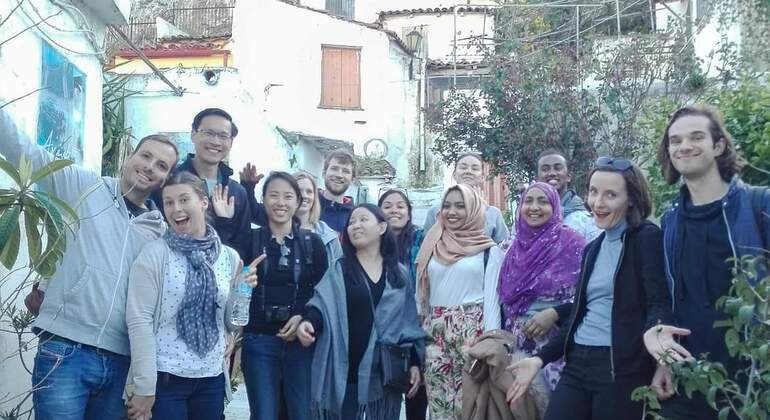 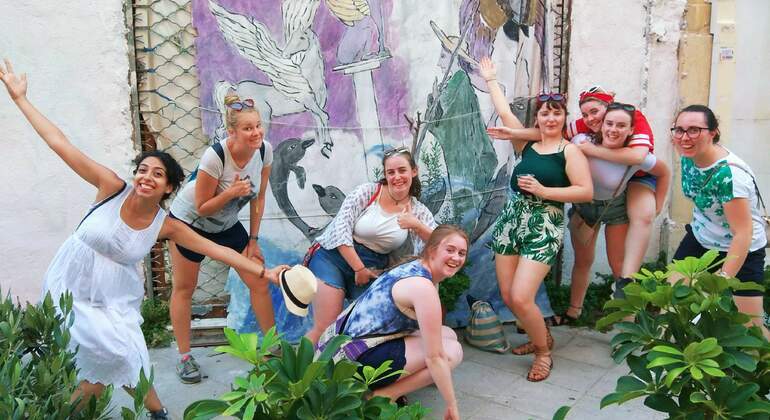 Our tour is not just a history lesson, it is true, an emotional experience, we won’t burden you with tons of dates and names rather, as we walk through history, we share great local tips, myths, urban legends and fun, enriching your total experiences of Athens & Greek culture and adding wonderful memories, we are sure, will last a lifetime! 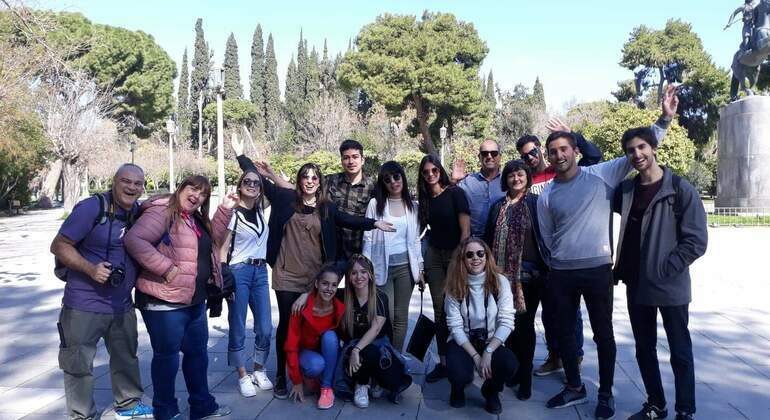 Spanish Team: Ana, Marielena, Elvira, Angel & Jose. 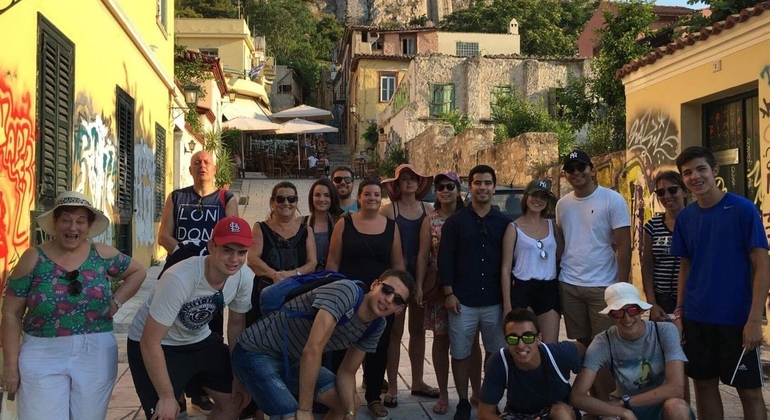 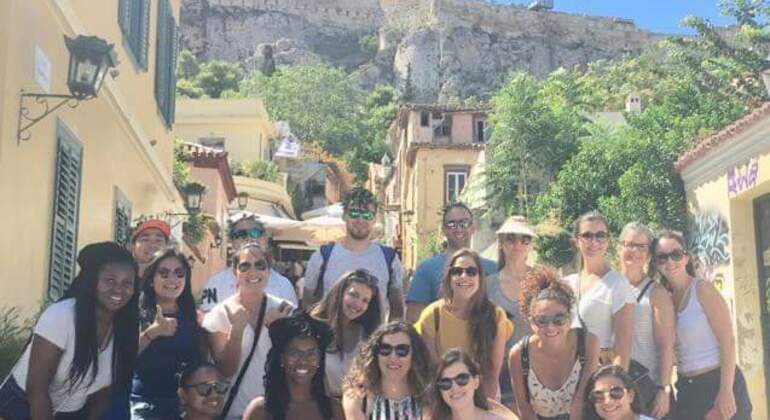 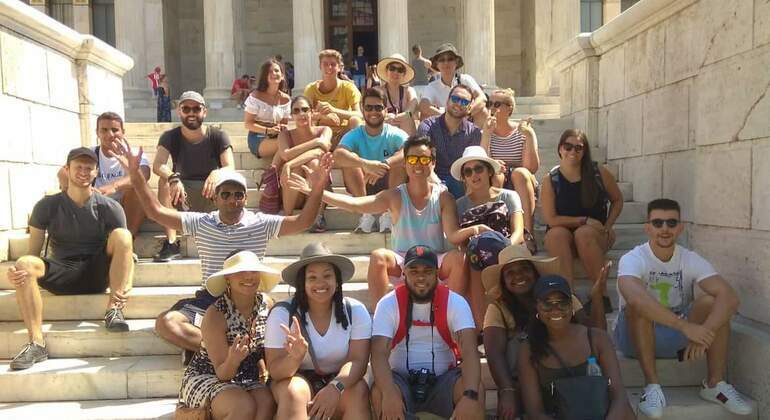 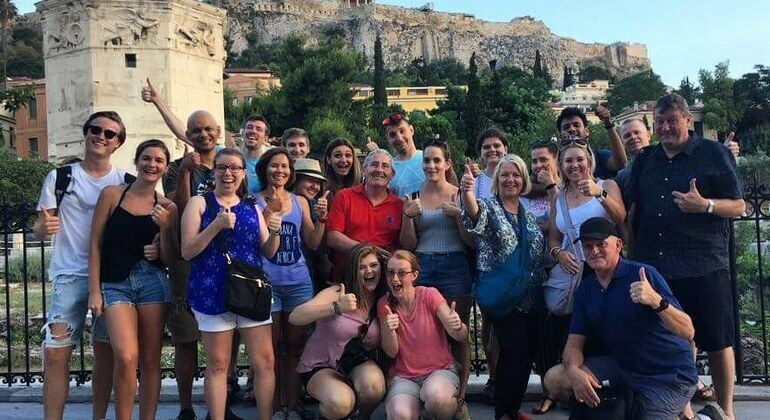 The tour was perfect to get an overview on Athens and it‘s most important sights, as well as some fun facts. 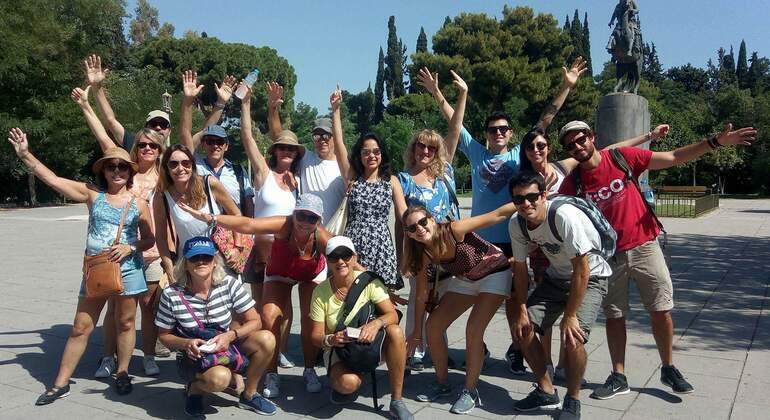 I totally enjoyed the tour with our enthusiastic guide Eleni. 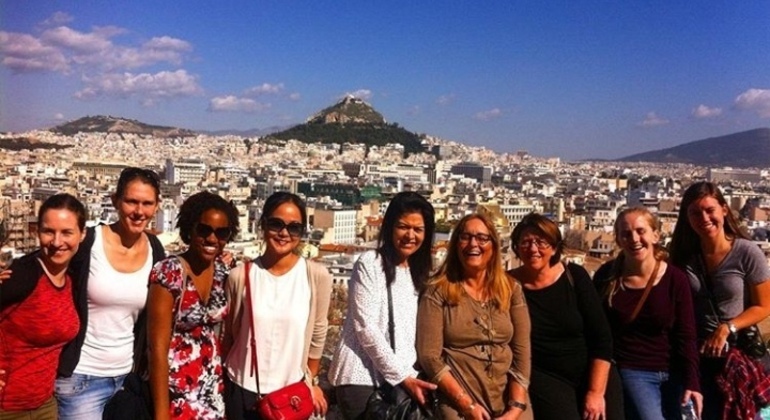 A very interesting tour through athens with sally! 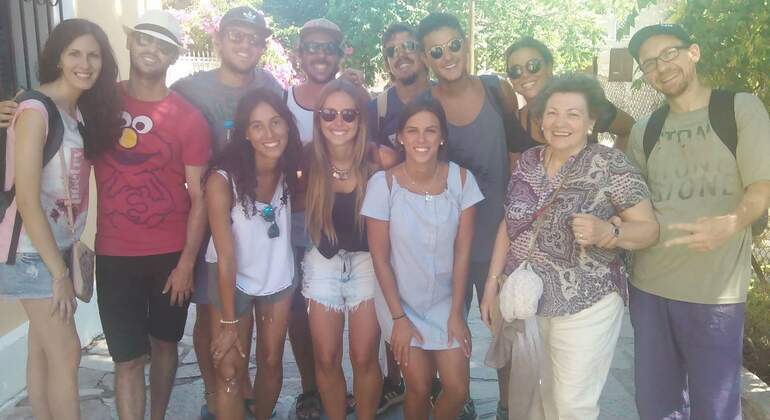 Best tour guide ever! 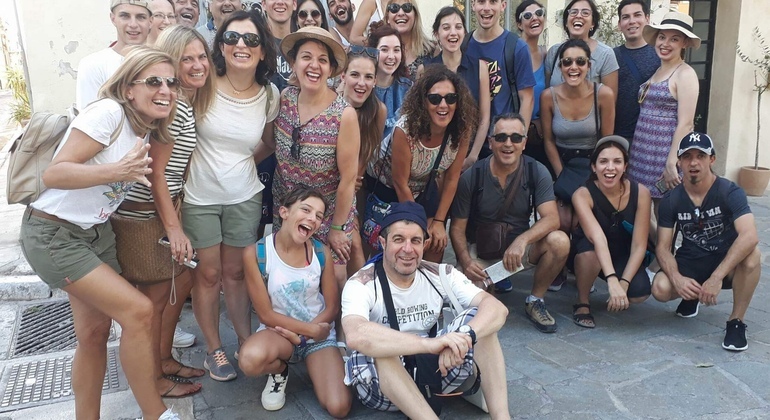 Our freewalking tour with Sam was amazing. 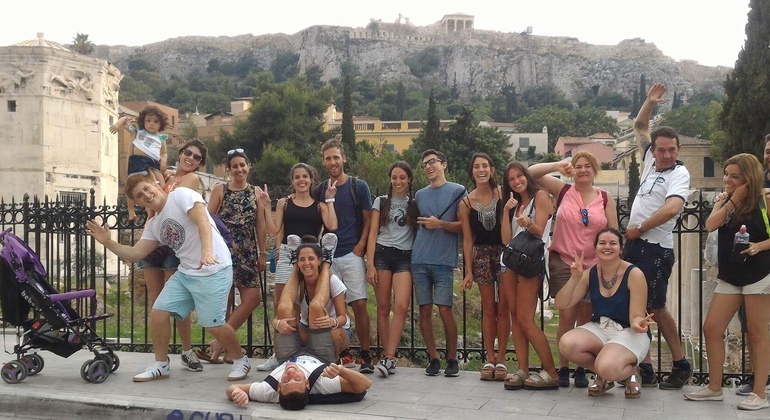 Sam gave us so many informations about all the monuments, the history of Athens and she also took care of us because of the pickpockets. 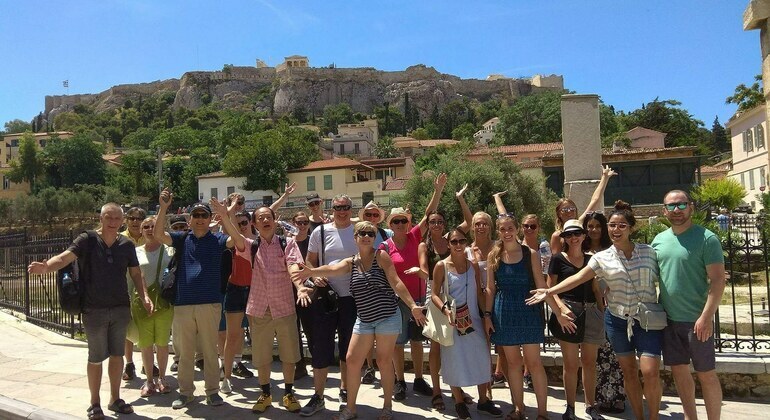 Hadrian's Arch is so easy, it is one of the most famous & recognizable monuments in the very center of Athens. 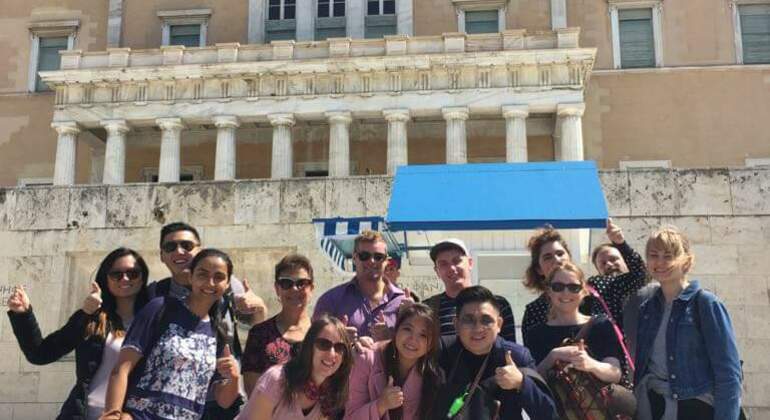 1) From Syntagma Sq. 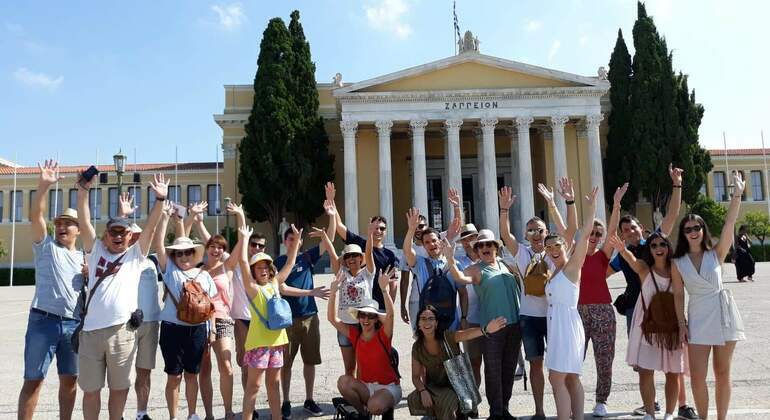 Walk five minutes straight down Amalias Ave. on the Parliament side, passing National Gardens. 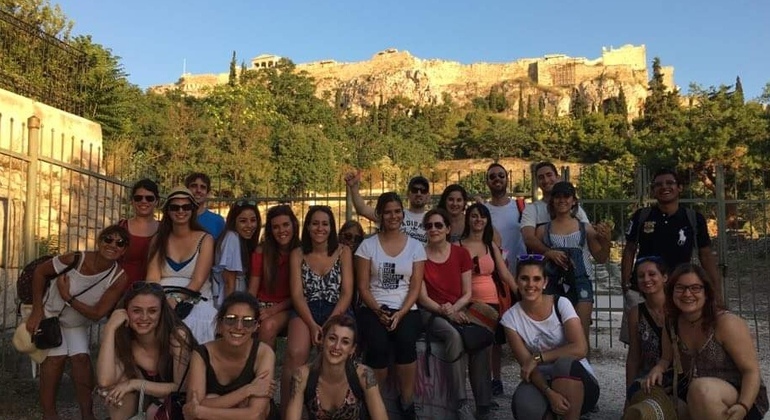 2) By Metro red line, get off at ACROPOLIS STATION.